There’s nothing better than stepping into a book shop. Whether it’s a pristine high street chain or a secret second-hand Aladin’s Cave tucked away on a side street, Glasgow’s book stores are a treasure trove full of literary gems. Many book shops (especially those in more studenty parts of the city) are much more than just book shops. They often have cafes and weekly events to attract people in and build a community. 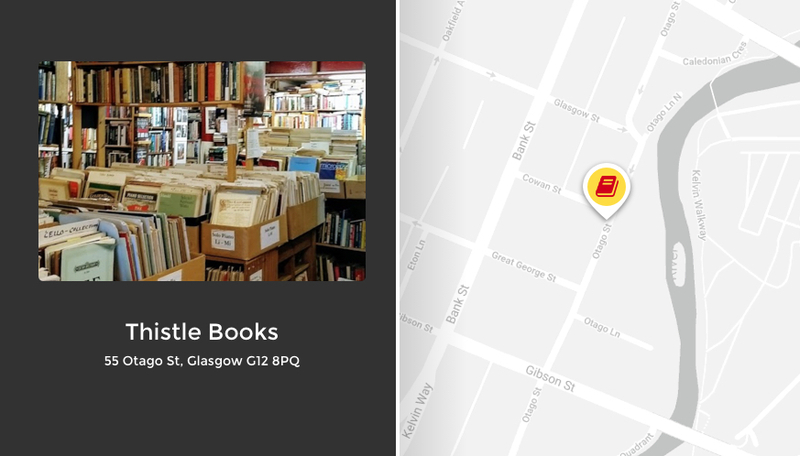 Whether you’re a student looking for books for your classes or a bookworm looking for your next literary adventure, look no further than these Glasgow book shops! For students, second-hand book shops are an excellent way to pick up set texts without breaking the bank. Sadly, most cash-strapped university students don’t even think to look in book shops and will immediately turn to Amazon. 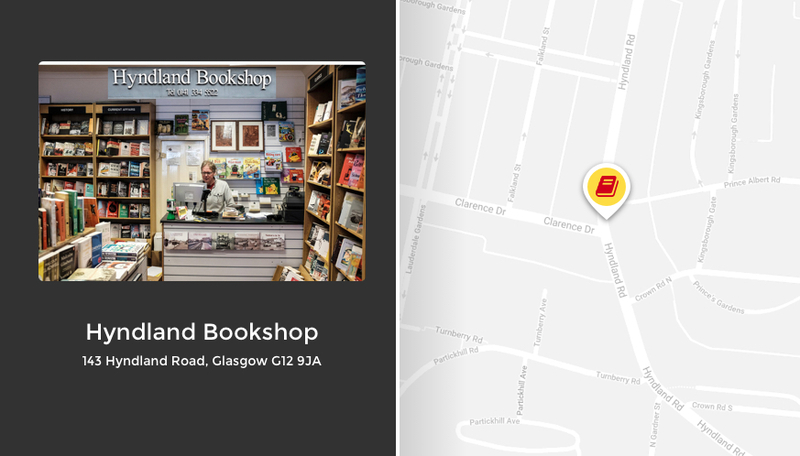 If you fancy delving into the world of second-hand books, here’s a list of our favourite shops in Glasgow! 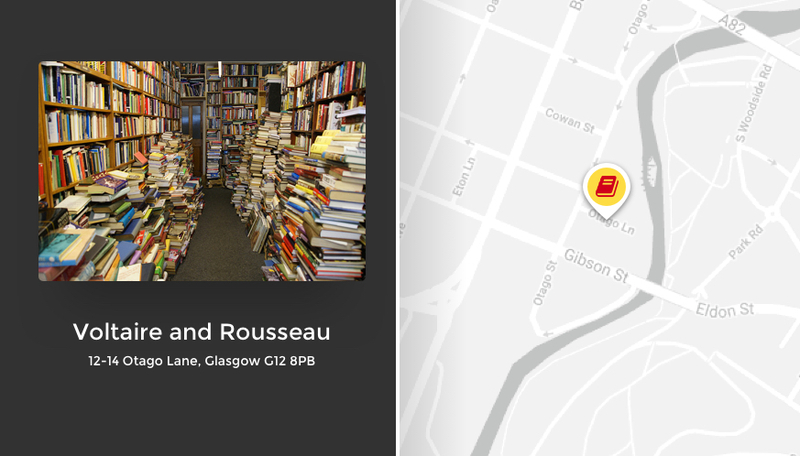 Voltaire and Rousseau is one of Glasgow’s best-loved book shops. Located on Otago Lane, you may just miss the door as a rusty, partially hidden sign is the only indication that you are standing in front of a bookstore. So what makes this shop one of the most talked about in the city? Once inside, you’re immediately greeted by an endless valley of books with huge mounds of books piled either side of the narrow aisles. There are bookshelves, but more often than not, they’re buried under several hundred thousand words! Voltaire and Rousseau is divided into two sections: a £1 area (perfect for students!) and another part for general sale. Sifting through the books in this shop is like digging for buried treasure and most of the time you’ll not find anything good. But, if you find what you’re looking for, it makes the hunt for the perfect book that much more rewarding! The mountains of literature may seem daunting if you’re on the hunt for a specific title, but for those who come to Voltaire and Rousseau with the intention of letting their next book find them, it is the perfect place to spend an afternoon. Caledonia Books is a family-run bookstore that first opened its doors nearly 35 years ago. Caledonia Books stocks everything from second-hand commercial fiction to expensive first editions and other rare books. Students will find their extensive collection of literature useful for different classes, and if they’re missing something, the staff are more than willing to place an order. Literature students (English Literature, Scottish Literature, Comparative Literature, etc.) will get the most out of Caledonia Books but other students will have sporadic luck too. Caledonia Books’ two floors are filled to the ceiling with books, but it’s well organised and super easy to find what you need. And even though it’s slap bang in the middle of the West End, on one of the busiest stretches of road, prices are very reasonable, which is a big plus for students. 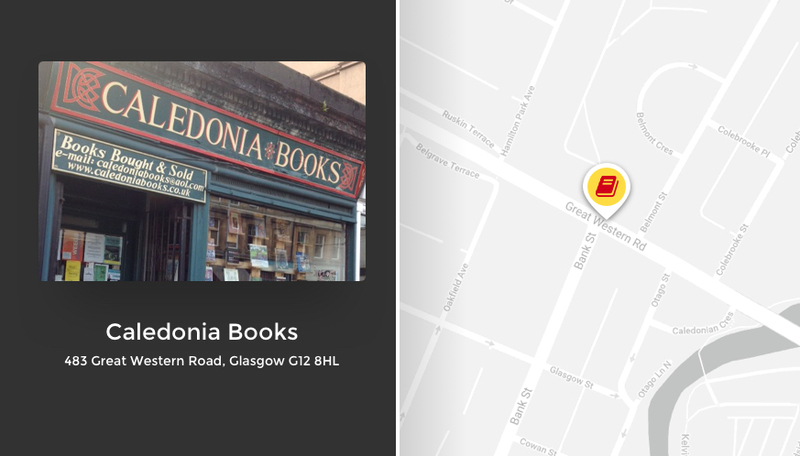 From non-fiction to sci-fi to contemporary arts, Caledonia Books has something for everyone, making it one of the best independent bookshops in Scotland! Thistle Books opened in 1998 and has continued to serve its visitors ever since. Hidden away down a small alley off Otago Lane, you won’t stumble on Thistle Books by accident unless you go looking for it. Inside, its low ceiling gives it the feel of Aladdin’s Cave. If you can’t find a particular title, which is likely, the knowledgeable owner is usually on hand to help you dig through the shelves with you. Oh, one last thing. Thistle Books shares its unit with Alba Music so don’t be confused by all the sheet music and classic records when you come in. Young’s Interesting Books is one of the newest additions to Glasgow’s collection of independent book stores, opening its doors to the public in 2010. This shop specialises in second-hand and antique titles. While Young’s does tend to cater towards local residents with deep pockets, cash-strapped university students can often pick up a bargain as they’ve commonly got books marked down to £1. 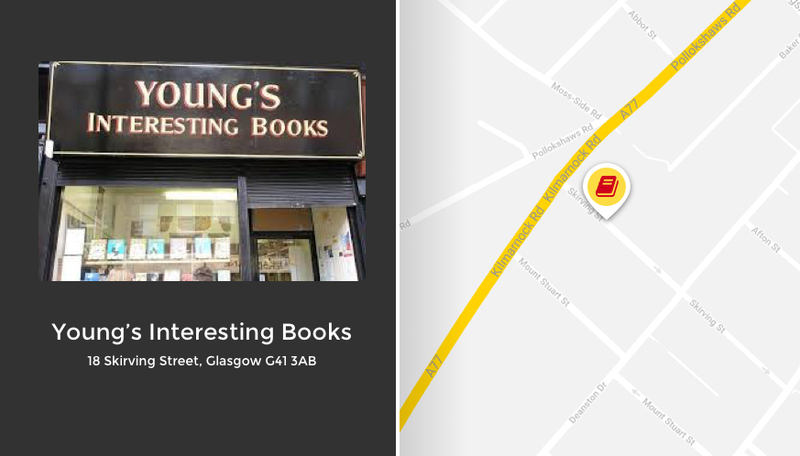 Young’s Interesting Books is one of the only second-hand book shops in Glasgow’s South Side, which is handy for everyone who lives south of the river. They’ll also buy your old books, so you have more room on your shelf for an exciting new read! As part of Oxfam’s retail empire, Oxfam Books takes all its profits and funnels them into charitable projects designed to eliminate global poverty. So shopping at Oxfam does tend to give you a nice, warm feeling inside. There are two Oxfam Books shops in Glasgow: one on Byres Road in the West End and one in Royal Exchange Square in the City Centre. 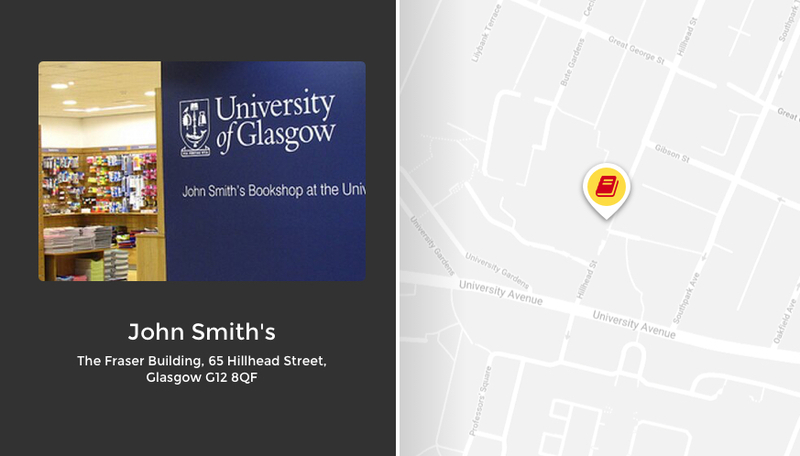 The West End branch is a stone’s throw away from the University of Glasgow main campus so it’s a popular haunt for students, academics and other bookworms living in the area. With its close proximity to the university, it usually has a bunch of set texts and textbooks in stock at discounted prices. As eBooks become more popular and big UK chain stores like Borders close their doors, it seems almost inevitable that smaller, local shops will follow suit. But Glasgow has continued to promote and support a handful of independent book shops, which is great for students! This book shop is as unique as its name. 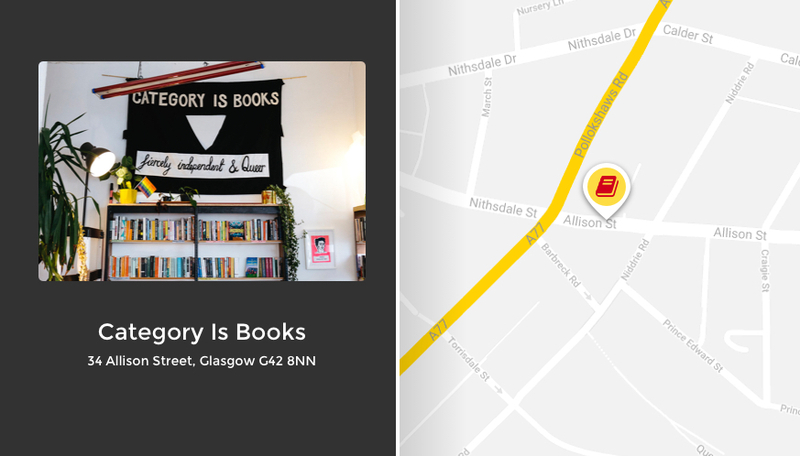 Category is Books, located on Allison Street, is the first LGBT book store to open in Glasgow in over 20 years. Whether or not you’re a student or part of the LGBT community, Category Is Books is well worth a visit. Category is Books is more than a store, though. It fosters a sense of welcoming for anyone in Glasgow who may need support and love. 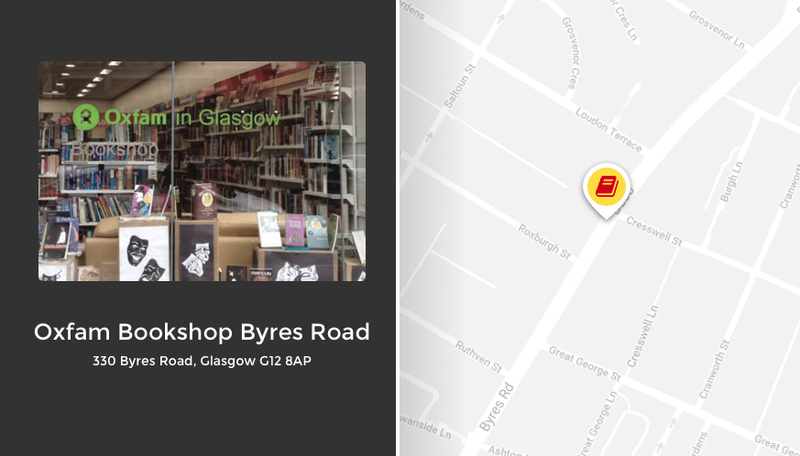 This stylish book shop is based in Glasgow’s West End among coffee shops and independent boutiques on 143 Hyndland Road. Hyndland Bookshop the only new bookshop in the West End—other than the university’s John Smith’s—which makes it super popular amongst local residents. Despite sitting squarely in Hyndland, which everyone admits is a bit posh, its prices aren’t that steep. They also have an adorable black lab named Max who hangs out with his owners in the shop! For those looking for a place to find independent magazines and other obscure titles, Aye Aye Books is the place to go. 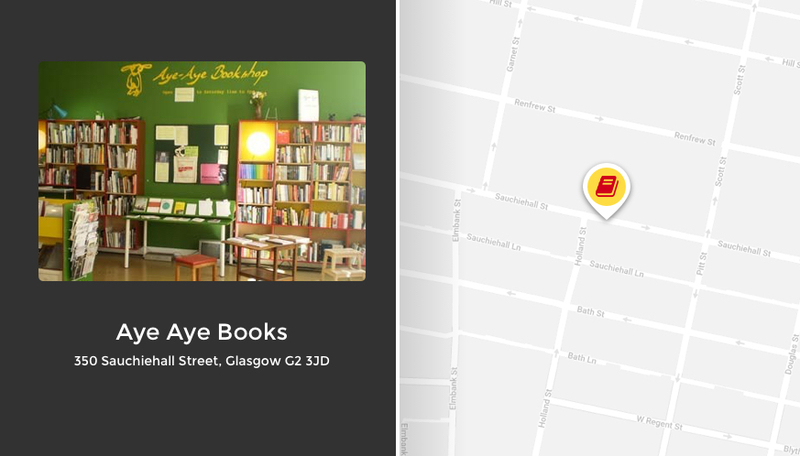 This small art bookshop, located in the Center for Contemporary Arts (CCA), is the only book store in Glasgow that specialises in contemporary art. However, there is so much more to Aye Aye Books than its art focus. They also carry numerous other titles about a wide variety of topics, from fiction, journals, and poetry. Additionally, they have a selection of limited edition art books, sound art, DVDs from across the globe—and much more. Aye Aye Books’ mid-range prices are great for students looking for affordable books, pamphlets, and magazines without breaking the bank. Whether you’re an art student or just an art lover, Aye Aye Books is the best place to visit for all things art related. While Borders is gone, Waterstones and other high street book shops continue to survive and (occasionally) thrive in today’s challenging retail landscape. 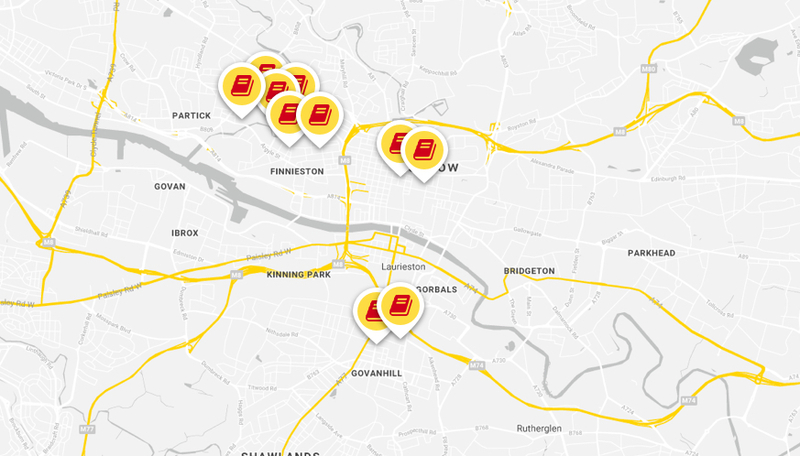 Here’s a list of some of the best book stores for students living in this area. It’s one of the oldest running book shops in the city and is a great resource for students and visitors alike. Though John Smith’s operates mainly as a student book store, it still has many genres and subjects that other visitors from around town will find worth checking in for. 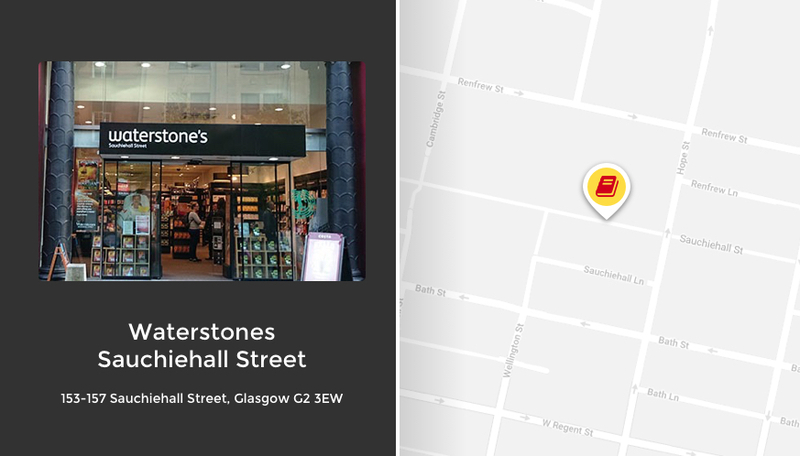 With several locations in Glasgow—Sauchiehall Street, Byres Road and Argyle Street—Waterstones is a popular go-to for students after new books. Over the last few years, Waterstones has tried to diversify the feel of each shop and each Glasgow branch has a distinctive atmosphere with a unique cafe and dedicated spaces for lounging around while reading or studying. But, it isn’t just a place for browsing or studying. If students in the area find themselves wondering what to do in their free time, Waterstones has plenty of events to attend. The City Centre locations are pretty big and have everything from children’s books to academic texts. The West End branch is a bit smaller but still has a terrific stock selection. Being a broke college student in Glasgow doesn’t mean you have to live like one. The city has some of the best choices of second-hand and independent book stores in the UK. Additionally, many of these shops have cafes or places to relax and temporarily take a break from the busy student lifestyle. So whether you’re hunting high and low for a book for class or something to read on the bus, make sure to visit these fantastic stores. And if you’re struggling to fit all your books on your bookcase, why not expand your storage space with a storage unit? Click here to learn more! This website uses HotJar to track how users interact with out website.